Historically, protectionism was associated with economic theories such as mercantilism (which focused on achieving positive trade balance and accumulating gold), and import substitution. In the 18th century, Adam Smith famously warned against the "interested sophistry" of industry, seeking to gain advantage at the cost of the consumers. Friedrich List saw Adam Smith's views on free trade as disingenuous, believing that Smith advocated for freer trade so that British industry could lock out underdeveloped foreign competition. Some have argued that no major country has ever successfully industrialized without some form of economic protection. Economic historian Paul Bairoch wrote that "historically, free trade is the exception and protectionism the rule". According to economic historians Douglas Irwin and Kevin O'Rourke, "shocks that emanate from brief financial crises tend to be transitory and have little long-run effect on trade policy, whereas those that play out over longer periods (early 1890s, early 1930s) may give rise to protectionism that is difficult to reverse. Regional wars also produce transitory shocks that have little impact on long-run trade policy, while global wars give rise to extensive government trade restrictions that can be difficult to reverse." One paper notes that sudden shifts in comparative advantage for specific countries have led said countries to become protectionist: "The shift in comparative advantage associated with the opening up of New World frontiers, and the subsequent “grain invasion” of Europe, led to higher agricultural tariffs from the late 1870s onwards, which as we have seen reversed the move toward freer trade that had characterized mid-nineteenth-century Europe. In the decades after World War II, Japan's rapid rise led to trade friction with other countries. Japan's recovery was accompanied by a sharp increase in its exports of certain product categories: cotton textiles in the 1950s, steel in the 1960s, automobiles in the 1970s, and electronics in the 1980s. In each case, the rapid expansion in Japan's exports created difficulties for its trading partners and the use of protectionism as a shock absorber." According to some political theorists, protectionism is advocated mainly by parties that hold far-left or left-wing economic positions, while economically right-wing political parties generally support free trade. Political dynamics would lead people to see a link between tariffs and the economic cycle that was not there. A boom would generate enough revenue for tariffs to fall, and when the bust came pressure would build to raise them again. By the time that happened, the economy would be recovering, giving the impression that tariff cuts caused the crash and the reverse generated the recovery. 'Mr Irwin' also attempts to debunk the idea that protectionism made America a great industrial power, a notion believed by some to offer lessons for developing countries today. As its share of global manufacturing powered from 23% in 1870 to 36% in 1913, the admittedly high tariffs of the time came with a cost, estimated at around 0.5% of GDP in the mid-1870s. In some industries, they might have sped up development by a few years. But American growth during its protectionist period was more to do with its abundant resources and openness to people and ideas. According to Paul Bairoch, the United States was "the mother country and bastion of modern protectionism" since the end of the 18th century and until the post-World War II period. The Bush administration implemented tariffs on Chinese steel in 2002; according to a 2005 review of existing research on the tariff, all studies found that the tariffs caused more harm than gains to the US economy and employment. The Obama administration implemented tariffs on Chinese tires between 2009 and 2012 as an anti-dumping measure; a 2016 study found that these tariffs had no impact on employment and wages in the US tire industry. In 2018, EU Trade Commissioner Cecilia Malmstrom stated that the US was "playing a dangerous game” in applying tariffs on steel and aluminium imports from most countries, and stated that she saw the Trump administration's decision to do so as both “pure protectionist” and “illegal”. 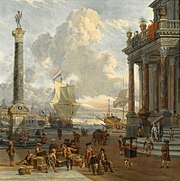 Europe became increasingly protectionist during the eighteenth century. Economic historians Findlay and O'Rourke write that in "the immediate aftermath of the Napoleonic Wars, European trade policies were almost universally protectionist," with the exceptions being smaller countries such as the Netherlands and Denmark. Europe increasingly liberalized its trade during the 19th century. Countries such as Britain, the Netherlands, Denmark, Portugal and Switzerland, and arguably Sweden and Belgium, had fully moved towards free trade prior to 1860. Economic historians see the repeal of the Corn Laws in 1846 as the decisive shift toward free trade in Britain. A 1990 study by the Harvard economic historian Jeffrey Williamsson showed that the Corn Laws (which imposed restrictions and tariffs on imported grain) substantially increased the cost of living for unskilled and skilled British workers, and hampered the British manufacturing sector by reducing the disposable incomes that British workers could have spent on manufactured goods. The shift towards liberalization in Britain occurred in part due to "the influence of economists like David Ricardo", but also due to "the growing power of urban interests". Findlay and O'Rourke characterize the 1860 Cobden Chevalier treaty between France and the United Kingdom as "a decisive shift toward European free trade." This treaty was followed by numerous free trade agreements: "France and Belgium signed a treaty in 1861; a Franco-Prussian treaty was signed in 1862; Italy entered the “network of Cobden-Chevalier treaties” in 1863 (Bairoch 1989, 40); Switzerland in 1864; Sweden, Norway, Spain, the Netherlands, and the Hanseatic towns in 1865; and Austria in 1866. By 1877, less than two decades after the Cobden Chevalier treaty and three decades after British Repeal, Germany “had virtually become a free trade country” (Bairoch, 41). Average duties on manufactured products had declined to 9–12% on the Continent, a far cry from the 50% British tariffs, and numerous prohibitions elsewhere, of the immediate post-Waterloo era (Bairoch, table 3, p. 6, and table 5, p. 42)." Some European powers did not liberalize during the 19th century, such as the Russian Empire and Austro-Hungarian Empire which remained highly protectionist. The Ottoman Empire also became increasingly protectionist. In the Ottoman Empire's case, however, it previously had liberal free trade policies during the 18th to early 19th centuries, which British prime minister Benjamin Disraeli cited as "an instance of the injury done by unrestrained competition" in the 1846 Corn Laws debate, arguing that it destroyed what had been "some of the finest manufactures of the world" in 1812. The countries of Western Europe began to steadily liberalize their economies after World War II and the protectionism of the interwar period. Since 1971 Canada has protected producers of eggs, milk, cheese, chickens, and turkeys with a system of supply management. Though prices for these foods in Canada exceed global prices, the farmers and processors have had the security of a stable market to finance their operations. Doubts about the safety of bovine growth hormone, sometimes used to boost dairy production, led to hearings before the Senate of Canada, resulting in a ban in Canada. Thus supply management of milk products is consumer protection of Canadians. In Quebec, the Federation of Quebec Maple Syrup Producers manages the supply of maple syrup. According to one assessment, tariffs were "far higher" in Latin America than the rest of the world in the century prior to the Great Depression. There is a broad consensus among economists that protectionism has a negative effect on economic growth and economic welfare, while free trade and the reduction of trade barriers has a positive effect on economic growth. A 2016 study found that "trade typically favors the poor", as they spend a greater share of their earnings on goods, as free trade reduces the costs of goods. It is important to note that this study only took into account trade's impact on the cost of living, and left a richer exploration of supply-side impacts, particularly effects on income, to future research. Other research found that China's entry to the WTO benefitted US consumers, as the price of Chinese goods were substantially reduced. Harvard economist Dani Rodrik argues that while globalization and free trade does contribute to social problems, "a serious retreat into protectionism would hurt the many groups that benefit from trade and would result in the same kind of social conflicts that globalization itself generates. We have to recognize that erecting trade barriers will help in only a limited set of circumstances and that trade policies will rarely be the best response to the problems [of globalization]". According to economic historians Findlay and O'Rourke, there is a consensus in the economics literature that protectionist policies in the interwar period "hurt the world economy overall, although there is a debate about whether the effect was large or small." Economic historian Paul Bairoch argued that economic protection was positively correlated with economic and industrial growth during the 19th century. For example, GNP growth during Europe's "liberal period" in the middle of the century (where tariffs were at their lowest), averaged 1.7% per year, while industrial growth averaged 1.8% per year. However, during the protectionist era of the 1870s and 1890s, GNP growth averaged 2.6% per year, while industrial output grew at 3.8% per year, roughly twice as fast as it had during the liberal era of low tariffs and free trade. One study found that tariffs imposed on manufactured goods increase economic growth in developing countries, and this growth impact remains even after the tariffs are repealed. According to Dartmouth economist Douglas Irwin, "that there is a correlation between high tariffs and growth in the late nineteenth century cannot be denied. But correlation is not causation... there is no reason for necessarily thinking that import protection was a good policy just because the economic outcome was good: the outcome could have been driven by factors completely unrelated to the tariff, or perhaps could have been even better in the absence of protection." Irwin furthermore writes that "few observers have argued outright that the high tariffs caused such growth." According to Oxford economic historian Kevin O'Rourke, "It seems clear that protection was important for the growth of US manufacturing in the first half of the 19th century; but this does not necessarily imply that the tariff was beneficial for GDP growth. Protectionists have often pointed to German and American industrialization during this period as evidence in favour of their position, but economic growth is influenced by many factors other than trade policy, and it is important to control for these when assessing the links between tariffs and growth." A prominent 1999 study by Jeffrey A. Frankel and David H. Romer found, contrary to free trade skeptics' claims, while controlling for relevant factors, that trade does indeed have a positive impact on growth and incomes. There is broad consensus among economists that free trade helps workers in developing countries, even though they are not subject to the stringent health and labour standards of developed countries. This is because "the growth of manufacturing—and of the myriad other jobs that the new export sector creates—has a ripple effect throughout the economy" that creates competition among producers, lifting wages and living conditions. The Nobel laureates, Milton Friedman and Paul Krugman, have argued for free trade as a model for economic development. Alan Greenspan, former chair of the American Federal Reserve, has criticized protectionist proposals as leading "to an atrophy of our competitive ability. ... If the protectionist route is followed, newer, more efficient industries will have less scope to expand, and overall output and economic welfare will suffer." Protectionists postulate that new industries may require protection from entrenched foreign competition in order to develop. This was Alexander Hamilton's argument in his "Report on Manufactures", and the primary reason why George Washington signed the Tariff Act of 1789. Mainstream economists do concede that tariffs can in the short-term help domestic industries to develop, but are contingent on the short-term nature of the protective tariffs and the ability of the government to pick the winners. The problems are that protective tariffs will not be reduced after the infant industry reaches a foothold, and that governments will not pick industries that are likely to succeed. Economists have identified a number of cases across different countries and industries where attempts to shelter infant industries failed. Economists such as Paul Krugman have speculated that those who support protectionism ostensibly to further the interests of workers in least developed countries are in fact being disingenuous, seeking only to protect jobs in developed countries. Additionally, workers in the least developed countries only accept jobs if they are the best on offer, as all mutually consensual exchanges must be of benefit to both sides, or else they wouldn't be entered into freely. That they accept low-paying jobs from companies in developed countries shows that their other employment prospects are worse. A letter reprinted in the May 2010 edition of Econ Journal Watch identifies a similar sentiment against protectionism from 16 British economists at the beginning of the 20th century. Protectionist measures taken since 2008 according to Global Trade Alert. Since the end of World War II, it has been the stated policy of most First World countries to eliminate protectionism through free trade policies enforced by international treaties and organizations such as the World Trade Organization Certain policies of First World governments have been criticized as protectionist, however, such as the Common Agricultural Policy in the European Union, longstanding agricultural subsidies and proposed "Buy American" provisions in economic recovery packages in the United States. Heads of the G20 meeting in London on 2 April 2009 pledged "We will not repeat the historic mistakes of protectionism of previous eras". Adherence to this pledge is monitored by the Global Trade Alert, providing up-to-date information and informed commentary to help ensure that the G20 pledge is met by maintaining confidence in the world trading system, detering beggar-thy-neighbor acts, and preserving the contribution that exports could play in the future recovery of the world economy. Although they were reiterating what they had already committed to, last November in Washington, 17 of these 20 countries were reported by the World Bank as having imposed trade restrictive measures since then. In its report, the World Bank says most of the world's major economies are resorting to protectionist measures as the global economic slowdown begins to bite. Economists who have examined the impact of new trade-restrictive measures using detailed bilaterally monthly trade statistics estimated that new measures taken through late 2009 were distorting global merchandise trade by 0.25% to 0.5% (about $50 billion a year). ^ Fairbrother, Malcolm (2014-03-01). "Economists, Capitalists, and the Making of Globalization: North American Free Trade in Comparative-Historical Perspective". American Journal of Sociology. 119 (5): 1324–1379. doi:10.1086/675410. ISSN 0002-9602. ^ a b c N. Gregory Mankiw, Economists Actually Agree on This: The Wisdom of Free Trade, New York Times (April 24, 2015): "Economists are famous for disagreeing with one another.... But economists reach near unanimity on some topics, including international trade." ^ "Economic Consensus On Free Trade". PIIE. 2017-05-25. Retrieved 2018-02-27. ^ Poole, William. "Free Trade: Why Are Economists and Noneconomists So Far Apart?". Retrieved 2018-02-27. ^ a b c See P. Krugman, "The Narrow and Broad Arguments for Free Trade", American Economic Review, Papers and Proceedings, 83(3), 1993 ; and P. Krugman, Peddling Prosperity: Economic Sense and Nonsense in the Age of Diminished Expectations, New York, W.W. Norton & Company, 1994. ^ a b "Import Duties". IGM Forum. October 4, 2016. ^ William Poole, Free Trade: Why Are Economists and Noneconomists So Far Apart, Federal Reserve Bank of St. Louis Review, September/October 2004, 86(5), pp. 1–: "most observers agree that '[t]he consensus among mainstream economists on the desirability of free trade remains almost universal.'" ^ Irwin, Douglas (2017). Peddling Protectionism: Smoot-Hawley and the Great Depression. Princeton University Press. p. vii-xviii. ISBN 9781400888429. ^ a b Paul Krugman, Robin Wells & Martha L. Olney, Essentials of Economics (Worth Publishers, 2007), p. 342-45. ^ Wong, Edward; Tatlow, Didi Kirsten (5 June 2013). "China Seen in Push to Gain Technology Insights". Nytimes.com. Retrieved 16 October 2017. ^ Markoff, John; Rosenberg, Matthew (3 February 2017). "China's Intelligent Weaponry Gets Smarter". Nytimes.com. Retrieved 16 October 2017. ^ "The Unpleasant Truth About Chinese Espionage". Observer.com. 22 April 2016. Retrieved 16 October 2017. ^ Ippei Yamazawa, "Restructuring the Japanese Economy: Policies and Performance" in Global Protectionism (eds. Robert C. Hine, Anthony P. O'Brien, David Greenaway & Robert J. Thornton: St. Martin's Press, 1991), pp. 55-56. ^ Crispin Waymouth, "Is 'Protectionism' a Useful Concept for Company Law and Foreign Investment Policy? An EU Perspective" in Company Law and Economic Protectionism: New Challenges to European Integration (eds. Ulf Bernitz & Wolf-Georg Ringe: Oxford University Press, 2010), pp. 44-476. ^ Shafaeddin, Mehdi (1998). "How did Developed Countries Industrialize? The History of Trade and Industrial Policy: the Cases of Great Britain and the USA". United Nations Conference on Trade and Development. ^ Reinert, Eric (2007). How Rich Countries got Rich and Why Poor Countries Stay Poor. New York: Carroll & Graf. ^ a b C, Feenstra, Robert; M, Taylor, Alan (2013-12-23). "Globalization in an Age of Crisis: Multilateral Economic Cooperation in the Twenty-First Century". NBER. ^ Warren, Kenneth (2008). Encyclopedia of U.S. Campaigns, Elections, and Electoral Behavior: A–M, Volume 1. SAGE Publications. p. 680. ISBN 9781412954891. Yet, certain national interests, regional trading blocks, and left-wing anti-globalization forces still favor protectionist practices, making protectionism a continuing issue for both American political parties. ^ "Trump Repeats Nixon's Folly". The Atlantic. 2018-03-02. Retrieved 2018-03-03. ^ Read, Robert (2005-08-01). "The Political Economy of Trade Protection: The Determinants and Welfare Impact of the 2002 US Emergency Steel Safeguard Measures". World Economy. 28 (8): 1119–1137. doi:10.1111/j.1467-9701.2005.00722.x. ISSN 1467-9701. ^ Chung, Sunghoon; Lee, Joonhyung; Osang, Thomas (2016-06-01). "Did China tire safeguard save U.S. workers?". European Economic Review. 85: 22–38. doi:10.1016/j.euroecorev.2015.12.009. ISSN 0014-2921. ^ "Why American allies are angry". gulfnews.com. ^ a b c d "Power and Plenty". Press.princeton.edu. Retrieved 16 October 2017. ^ a b c d e f Findlay, Ronald; O'Rourke, Kevin H. (2003-01-01). "Commodity Market Integration, 1500–2000". NBER. ^ "7 – Trade: discovery, mercantilism and technology". The Cambridge Economic History of Modern Britain. Cambridge Core. Retrieved 2017-06-27. ^ Williamson, Jeffrey G (1990-04-01). "The impact of the Corn Laws just prior to repeal". Explorations in Economic History. 27 (2): 123–156. doi:10.1016/0014-4983(90)90007-L.
^ Daudin, Guillaume; O’Rourke, Kevin H.; Escosura, Leandro Prados de la (2008). "Trade and Empire, 1700–1870". ^ Blattman, Christopher; Clemens, Michael A.; Williamson, Jeffrey G. (2003-06-01). "Who Protected and Why? Tariffs the World Around 1870–1938". Rochester, NY. ^ Coatsworth, John H.; Williamson, Jeffrey G. (2004). "The Roots of Latin American Protectionism: Looking Before the Great Depression". In Estevadeordal, A.; Rodrik, D.; Taylor, A.; Velasco, A. Integrating the Americas: FTAA and Beyond. Cambridge: Harvard University Press. doi:10.3386/w8999. ISBN 978-0-674-01484-8. ^ "Trade Within Europe | IGM Forum". Igmchicago.org. Retrieved 2017-06-24. ^ Krugman, Paul (January 24, 1997). The Accidental Theorist. Slate. ^ Fajgelbaum, Pablo D.; Khandelwal, Amit K. (2016-08-01). "Measuring the Unequal Gains from Trade". The Quarterly Journal of Economics. 131 (3): 1113–80. doi:10.1093/qje/qjw013. ISSN 0033-5533. ^ Amiti, Mary; Dai, Mi; Feenstra, Robert; Romalis, John (2017-06-28). "China's WTO entry benefits US consumers". VoxEU.org. Retrieved 2017-06-28. ^ Rodrik, Dani. "Has Globalization Gone Too Far?" (PDF). Institute for International Economics. ^ Bairoch, Paul (1993). Economics and World History: Myths and Paradoxes. Chicago: University of Chicago Press. p. 47. ^ DeJong, David (2006). "Tariffs and Growth: an empirical exploration of contingent relationships". The Review of Economics and Statistics. 88 (4): 625–40. doi:10.1162/rest.88.4.625. ^ a b Irwin, Douglas A. (2001-01-01). "Tariffs and Growth in Late Nineteenth Century America". World Economy. 24 (1): 15–30. CiteSeerX 10.1.1.200.5492. doi:10.1111/1467-9701.00341. ISSN 1467-9701. ^ H. O'Rourke, Kevin (2000-11-01). "British trade policy in the 19th century: a review article". European Journal of Political Economy. 16 (4): 829–42. doi:10.1016/S0176-2680(99)00043-9. ^ Frankel, Jeffrey A; Romer, David (June 1999). "Does Trade Cause Growth?". American Economic Review. 89 (3): 379–99. doi:10.1257/aer.89.3.379. ISSN 0002-8282. ^ Krugman, Paul (March 21, 1997). In Praise of Cheap Labor. Slate. ^ "The Case for Protecting Infant Industries". Bloomberg.com. 2016-12-22. Retrieved 2017-06-24. ^ a b Baldwin, Robert E. (1969). "The Case against Infant-Industry Tariff Protection". Journal of Political Economy. 77 (3): 295–305. doi:10.1086/259517. JSTOR 1828905. ^ O, Krueger, Anne; Baran, Tuncer (1982). "An Empirical Test of the Infant Industry Argument". American Economic Review. 72 (5). ^ Choudhri, Ehsan U.; Hakura, Dalia S. (2000). "International Trade and Productivity Growth: Exploring the Sectoral Effects for Developing Countries". IMF Staff Papers. 47 (1): 30–53. JSTOR 3867624. ^ Baldwin, Richard E.; Krugman, Paul (June 1986). "Market Access and International Competition: A Simulation Study of 16K Random Access Memories". NBER Working Paper No. 1936. doi:10.3386/w1936. ^ Luzio, Eduardo; Greenstein, Shane (1995). "Measuring the Performance of a Protected Infant Industry: The Case of Brazilian Microcomputers". The Review of Economics and Statistics. 77 (4): 622–633. doi:10.2307/2109811. JSTOR 2109811. ^ "US Tire Tariffs: Saving Few Jobs at High Cost". PIIE. 2016-03-02. Retrieved 2017-06-24. ^ Krugman, Paul (November 21, 1997). A Raspberry for Free Trade. Slate. ^ "Independent monitoring of policies that affect world trade". Global Trade Alert. Retrieved 2016-12-16. ^ Fouda, Regine (October 2012). "Protectionism and Free Trade: A Country's Glory or Doom?" (PDF). International Journal of Trade, Economics and Finance. 5. 3: 351. Retrieved 13 April 2014. .
^ "Brussels Warns US on Protectionism". Dw-world.de. 2009-01-30. Retrieved 16 October 2017. ^ "Global Trade Alert". Globaltradealert.org. Retrieved 16 October 2017. ^ "Trade and the Crisis: Protect or Recover" (PDF). Imf.org. Retrieved 16 October 2017. ^ "Trump Abandons Trans-Pacific Partnership, Obama's Signature Trade Deal". Retrieved 2018-07-01.